It is with the most profound sadness that we report the sudden and untimely death of Steve Singleton. 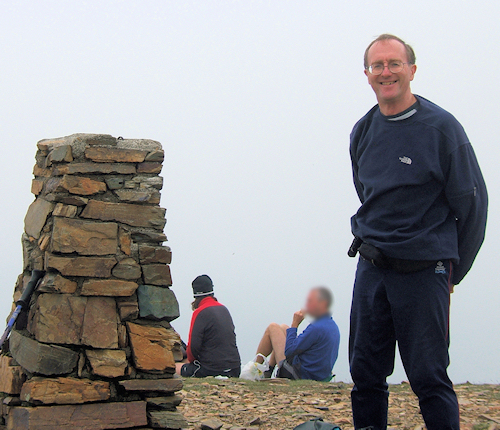 He died of a heart attack while walking in his beloved Lake District over the Christmas break. 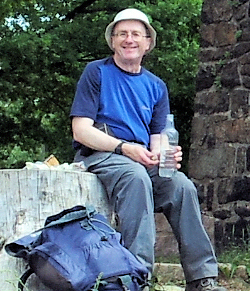 Steve was a very active member of our group and led numerous walks for both Thames Valley and London. He entered several challenge events each year meeting old friends and acquaintances and making new ones. Rarely without a map to hand he tracked every walk he did and could always be relied on to pinpoint his exact position. He also organised an annual weekend in the Lake District which was always popular and well attended. Steve was a kind, gentle man who at times seemed quite shy, but he was an experienced walker and navigator in many types of terrain. He was well on his way through his second round of the Munros and had two completed Wainwright rounds to his credit. Steve was due to lead a joint walk with the London Group on Saturday 23 February. The walk will go ahead as planned and will be led by Duncan MacGregor as an opportunity for Steve's friends in both groups to remember him in a way of which he would have approved. In addition to all the money collected on the memorial walk for Steve Singleton and other contributions the club made a donation on behalf of all members to the British Heart Foundation, the charity nominated by Steve's family. The BHF's acknowledgement is here (pdf file).